Anywhere You Need to Meet! My Mobile Notary LA is experienced in notarizing any document you need notarized. Call or text to have a traveling notary go to your location today! Guaranteed fast quality service. Professional and accurate. Call or text Jeanette for a quote. A Mobile Notary can be there even within in an hour! DON’T FIGHT THE TRAFFIC IN LOS ANGELES! My Mobile Notary Drives to you, at your door, office or wherever you need us to go. Any document you need notarized, we can do it. Fully Bonded by the State of California and Certified by the National Notary Association. You can expect the most professional and friendly service with all your legal document notarization needs. We do not provide legal advise and cannot give you direction on how to prepare your documents. If you need legal advise, please contact an attorney. Mobile and Traveling Notary Services Serving ALL of Los Angeles, the San Fernando Valley, Santa Monica and Surrounding Areas. We provide services outside normal business hours at a higher rate. All Credit Cards. Cash and Check. Paypal, too. You won’t find a faster, more convenient, reliable and personable mobile or traveling notary service in all of Los Angeles. Time is money. 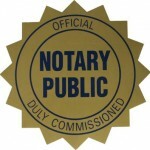 Let one of our mobile notary public professionals meet you at your location. 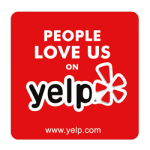 We service any location in Los Angeles and surrounding areas. If you need a traveling notary to meet with you at a remote location or travel to the home of someone that has difficulty with mobility we can assist. Our mobile notary team is ready to assist with quick, professional and reliable services. When you need your documents to to a foreign country, they may require an Apostille Authentication of the notarized documents. In countries not members of the Hague Convention, will require additional processing documents. Please contact us for more details.